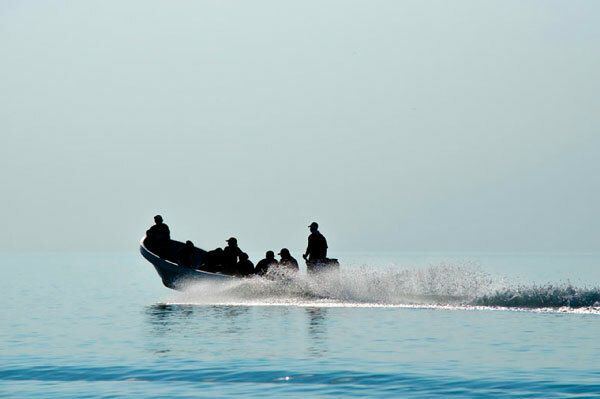 Dolphinaris has always been committed to the conservation of marine environments. It’s why part of every sale goes to the Dolphinaris Foundation. As you see…It’s not something we only preach about. We take an active leadership role. The Dolphinaris Foundation worked with Universidad Autónoma del Carmen to perform a health assessment of wild bottlenose dolphins, and also teamed up with Cornell University and Texas & AM Corpus Christi University to aid in the education of future marine veterinarians. 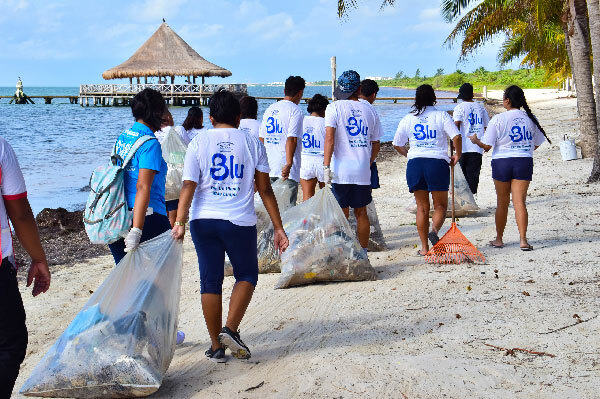 Then it should come as no surprise this 2017, Dolphinaris spearheaded a beach-cleaning initiative in Cancun and Riviera Maya. 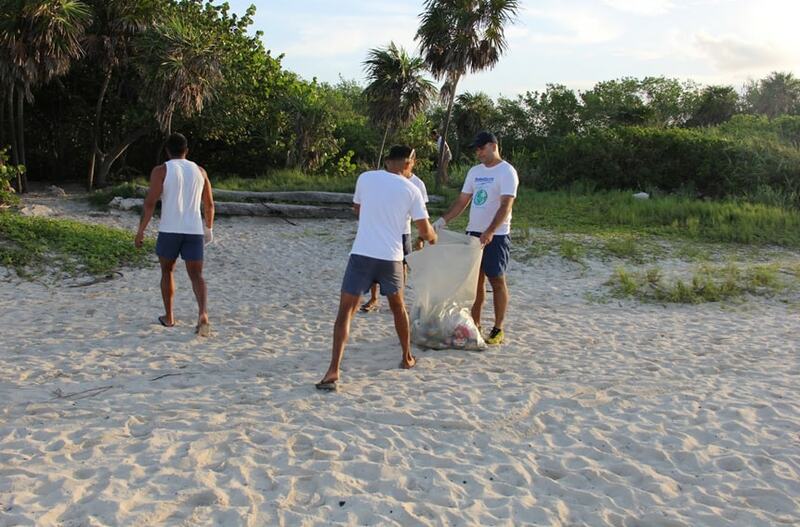 This is important because millions of pounds of trash can be found at beaches every day! How much trash was found? The Dolphinaris Team collected in Cancun over 155 pounds! 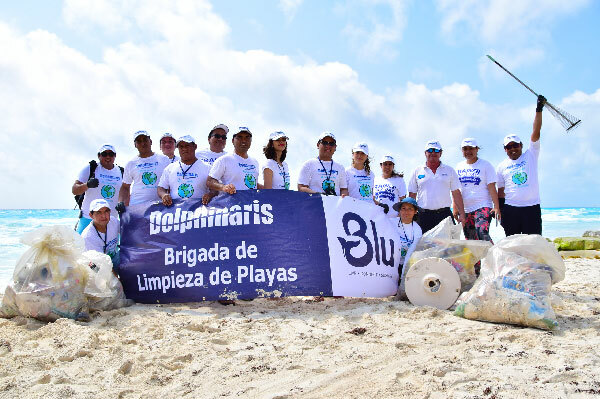 The Dolphinaris Team collected in Riviera Maya over 278 pounds! The Dolphinaris Challenge: How can you help? 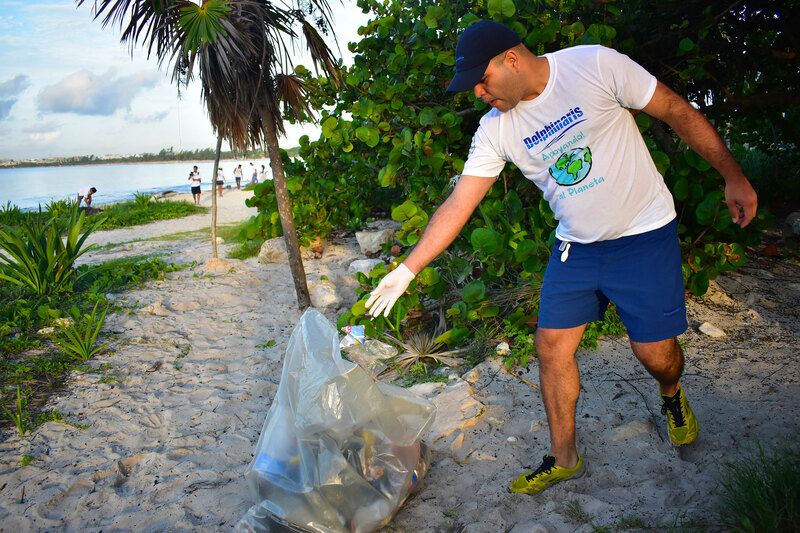 Dolphinaris invites everyone to lend a helping hand in keeping the Riviera Maya beaches the most beautiful in the world. Not only will this help everyone safely enjoy the beaches. But it will protect marine fauna from our trash. Want to help, but not sure how to proceed? Make sure you bring your own trash receptacle. Bring several large heavy-duty black trash bags. Why? Because the beach area may not have a trash receptacle. When you come to the beach, bring a reusable plastic bottle. Not only will it most likely keep your drink cooler for a longer period of time, but through time, it will keep the ocean cleaner. Don’t throw cigarette butts into the sand! Try using an empty can instead. If you must, be sure that all plastic objects stay with you, and not in the ocean. Be sure to ask yourself: Am I leaving with everything that I came with? Dolphinaris just removed over 300 pounds of trash from the beaches. This is 300 pounds of toxic trash that would have found its way into the oceans, and harmed marine life. Through the Dolphinaris Foundation, Dolphinaris has kept a strong tradition of marine conservation. 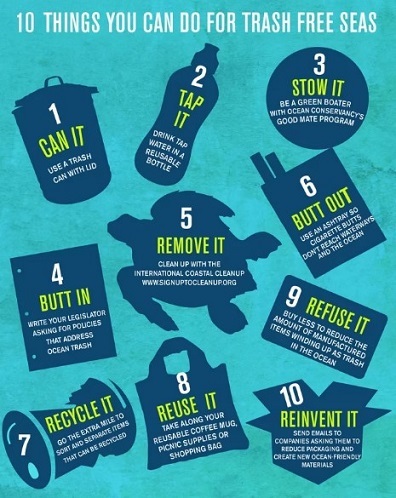 Dolphinaris invites you to help keep beaches clean by following our 5 tips. Dolphinaris Cancun is Hosting the 2017 IAAAM Conference!